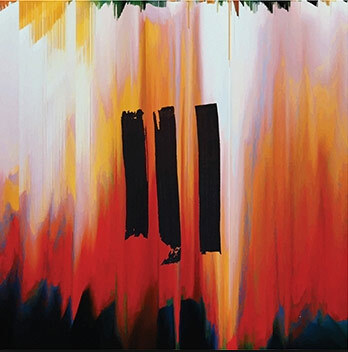 JFH News: Hillsong Young and Free Announces June 29 Release of Studio Album "III"
The third career album to date and first major release since their 2016 chart-topping “Youth Revival” project, “III” features 17 tracks that demonstrate Young & Free’s unparalleled ability to blend pop and EDM influences with powerful worship anthems and reflects a deepening, growing-up, and coming of age that the band has experienced over the last few years. Young & Free offered fans a preview of what to expect with “III” through the recent release of brand new breakout singles, “Love Won’t Let Me Down,” "P E A C E," and “Let Go.” Love Won’t Let Me Down” landed at #1 on Hot AC radio while their latest focus track “Let Go,” with accompanying music video, garnered over 837,000 digital streams with placement on top playlists since its release. The song continues to climb the charts, impacting more than 8 million followers to date. With over 289 million YouTube channel views and a combined social following of 3 million plus, the youth movement born out of Hillsong Church in Sydney, Australia continues to redefine Christian music to the masses with their projects and sold out shows across the globe. GRAMMY® nominated Hillsong Young & Free is a youth movement born out of Hillsong Church in Sydney, Australia. In this 30-year story, they have seen generations of people serving, leading and pioneering movements. Young & Free is comprised of a collective of young people who come together to make music for youth and young adults everywhere. Their first album “We Are Young & Free” (2013) and EP, “This Is Living” (2015), garnered a No. 1 spot on Billboard Top Christian /Gospel Albums Chart. Their latest project, “Youth Revival” (2016) spawned multiple No. 1’s, landed in the Top 10 on Billboard’s Digital Albums Chart, and garnered the band its first GRAMMY® nomination. Most recent singles “P E A C E” and “Love Won’t Let Me Down” received positioning on Spotify’s New Music Friday playlist reaching over 2.4M followers and “Love Won’t Let Me Down” hit #1 at Hot A/C. With millions of followers engaging in the social conversation and support from the most prominent music outlets around the world, Young & Free has scored five No. 1 radio singles and seven Top 5 singles at Hot AC radio. The group is currently co-headlining the ASIA 2018 Tour with Hillsong UNITED.